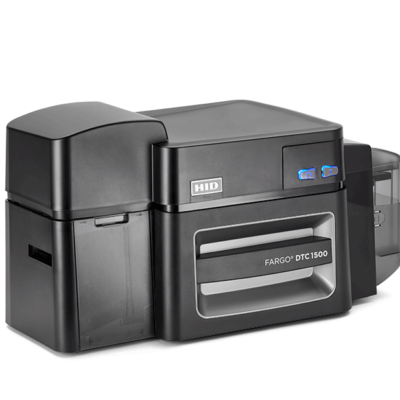 Nisca’s single-sided printer provides a simple and affordable out-of-the-box solution for printing high quality, high durability ID cards, with low maintenance requirements. This basic professional solution is great for every small organization, including police, libraries, schools, clubs, casinos, and more. 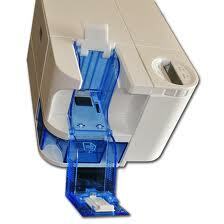 Comes with 5 year/10,000 print warranty. Warranty period ending on which ever mark is reached first. SKU: PR-C101 Categories: Single Side ID Printers, Nisca: ID Card Printers Tag: PR-C101 Nisca Single-Sided ID Card Printer ID supershop has replaced the PR53LE ID card printer. 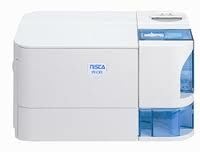 Nisca’s PR-C101 has replaced the PR53LE ID card printer. Nisca‘s PR-C101 single-sided printer provides a simple and affordable out-of-the-box solution for high quality, high durability ID card printing, with low maintenance requirements. 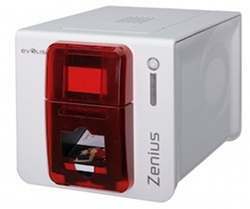 This printer is small enough to fit into an office overhead bin, or under a counter, and offers the first ever rotating LCD panel, and optional front or back exit. This basic professional solution is great for every small organization, including police, libraries, schools, clubs, casinos, and more. The PR-C101 has 24-bit image quality, allowing the imprinting of 2-point text on your plastic ID cards, and its design allows for front or rear card exiting, depending on the position that best suits your working space. 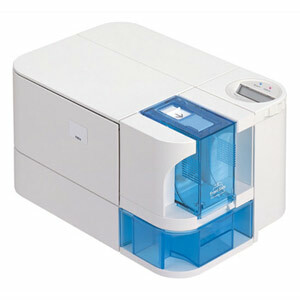 The rotating LCD panel provides complete, easy-to-read status messages and prompts, and the all-in-one ribbon cartridge and cleaning roller keep printer maintenance easy. The Nisca PR-C101 card printer has been equipped with a desktop locking port that will help to deter unauthorized handling, while you can additionally password-protect the PR-C101 within its printer driver, allowing only authorized users to produce cards. Software Drivers- Microsoft Windows, Windows 7. 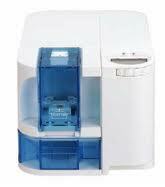 Warranty- 5 year/10,000 print warranty. Warranty period ending on which ever mark is reached first.